The author is not only an adept storyteller but also a very good writer, who manages to conjure up vivid scenes with just a few well-chosen details, leaving the impression of richly-textured worlds without needlessly bogging down the story with a lot of description. 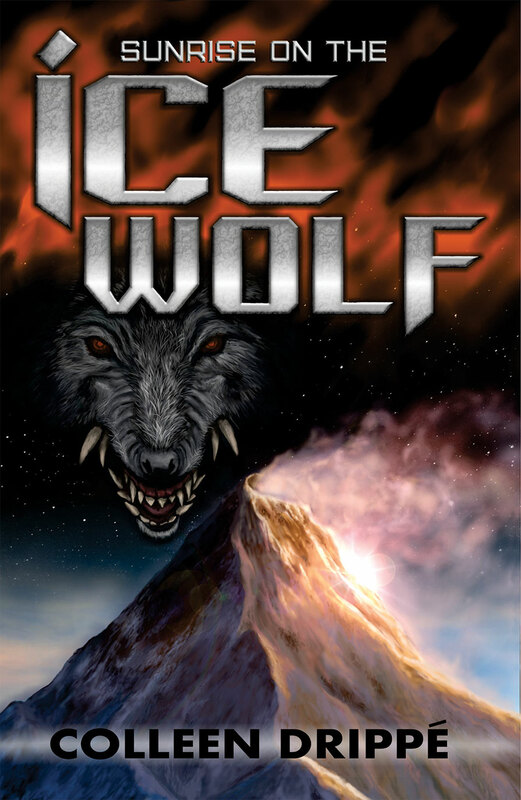 Fast paced, intriguing, unique, well-written… what’s not to like about “Sunrise on the Icewolf”? 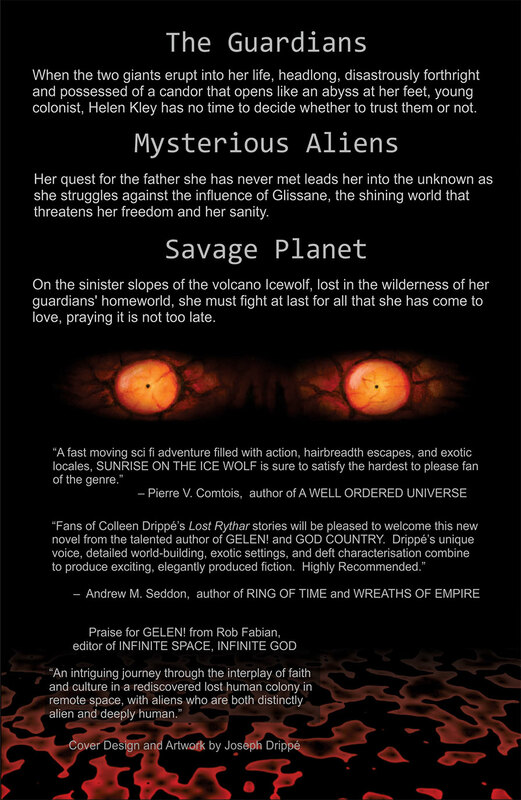 Readers of Drippe’s previous SF novel “Gelen!” will surely want to pick up this new book, while those unfamiliar with her have a treat in store. Drippe has a way of creating fascinating worlds, real characters, and plots that never lack for interest. The author’s writing keeps the reader on the edge of their seat, while at the same time introducing them to exciting new worlds. Her descriptive narrative will captivate the reader, as they discover new worlds to explore.